Promethean Legal Services is a consulting firm that has been formed to meet the needs of businesses that have not yet reached the size where it makes financial sense to hire their first in-house attorney, as well as corporate legal departments with overflow work. These businesses face the choice of sending this legal work to a law firm (and paying rates that reflect the overhead of a traditional law firm) or going without legal review (which means taking on risk). Promethean has been formed to give these businesses a third (and better) option that allows clients to purchase quality legal services from experienced senior attorneys without taking on fixed overhead. I have thoroughly enjoyed working with David Frolio. He has the highest integrity and David’s years of experience (especially on the commercial & telecom side) aid in his thoughtful and on-point legal advice. As CEO of a growing middle market company, we have to watch every penny and are not yet large enough to afford in house counsel. Promethean’s pricing is extremely cost effective. I worked with David Frolio for a number of years at the GSMA, where he was instrumental in the set-up of our 501(c)(3) foundation status, and the contract work for all our projects with partners such as DFID, USAID, the Bill & Melinda Gates Foundation and Omidyar Network. This work straddled both private for profit partners and public charitable status foundations, so the legal work was bespoke and required a unique sensitivity to both public and private concerns. David navigated this space effortlessly. As such, he was the first person I turned to for legal advice when setting up my own company at Caribou Digital, and I’m very glad to have him advising us on the set up of our legal entities in the UK and US and in all our contracting work. We have thrown a wide range of legal requests at Promethean and they have always proven to have the knowledge and resourcefulness to meet our needs. They are very responsive and have shown themselves capable of quickly understanding our business and its nuances, which allows us to maintain a fast-paced environment without slowing down every time there is a legal issue. Matt Tuchband, CFO, GiveSmart US, Inc.
With over 700 employees located conducting trade association activities and organizing events, like the Mobile World Congress across the globe, the GSMA’s ten-person legal department has a lot on its plate. Promethean Legal Services has been extremely useful in the helping the GSMA Legal team get its job done. All of the Promethean attorneys have twenty-plus years of in-house experience working on complex commercial, telecom and wireless matters for companies like BellSouth, Cingular and AT&T. Their deep experience, coupled with their excellent judgement and adaptable personalities, allows them to work side by side with the GSMA lawyers and clients as an extension of the GSMA Legal Department on an as-needed and pay-as you-go basis. When Jeff told me that he was joining Promethean, I was overjoyed to have the opportunity to work with him again. I have known Jeff for (literally) my entire legal career and I cannot recommend him highly enough. With Jeff, you get a rare combination of excellence, efficiency and effectiveness. Tough without a trace of abrasiveness, quick without missing anything, and creative without stepping over the lines, Jeff makes a powerful addition to any team. Working at the Board room level in a highly-regulated utility company, Jeff gained valuable hands-on experience in building in-house law departments and advising top management. Unlike many other lawyers, Jeff also knows what it is like to put skin in the game himself as an entrepreneur in a start-up. From advice on structuring an effective law department to guidance on corporate and securities matters, a general counsel could not ask for a better partner than Jeff Brown. The Promethean attorneys have deep experience in telecom and wireless matters, are very accessible, responsive, and never let us down. Ricardo Tavares CEO, TechPolis, Inc. I worked with Jeff at AGL Resources (now Southern Company Gas) for many years and he became an incredibly valuable resource for me and my team. On top of that, he built over the years, basically from scratch, a first-rate legal department that we came to rely on and did so with complete confidence. Jeff himself is an excellent lawyer who has an exceptional commercial mind and an ability to address serious legal issues, but also offer reasonable, practical solutions that work both commercially and legally. After thirty years in this business, I have never worked with another attorney that had Jeff’s combination of legal acumen, commercial sense and overall people skills. In short, I always valued his legal advice, completely trusted his judgment, and knew he would do the right thing. I cannot recommend Jeff highly enough. Promethean Legal Services is composed of a group of senior attorneys with many years of experience in providing practical, timely and effective legal support for their corporate clients. They have the knowledge and experience to be able to solve legal problems in an efficient and practical fashion by listening to their clients and driving the project toward a client-oriented conclusion. With over 25 years of experience working for global corporations, David Frolio has a long and successful track record of providing practical and effective legal advice to corporate clients. For 19 years, he held a variety of positions within the BellSouth legal department working on complex corporate transactions. 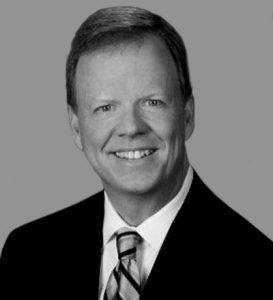 Following BellSouth’s acquisition by AT&T in 2006, he joined the legal department of the GSM Association, the global trade association for the mobile industry. He has extensive experience in general corporate matters, corporate governance, mergers and acquisitions and a wide range of domestic and international commercial contracts. David has over 35 years of experience working for corporate clients, both in domestically and international markets with a successful track record of providing them effective practical legal advice. 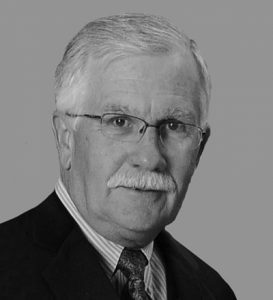 With almost 30 years of legal experience in both private law firms and in-house legal departments, Bert Hogeman has a wide-ranging background in representing business and commercial clients in practically every facet of their businesses. Starting his practice in commercial real estate in 1982, and transitioning to a position with the BellSouth Legal Department in 1987, his practice has included domestic and international mergers and acquisitions, operational responsibility for international operations, telecommunications regulatory activity, representation of BellSouth’s marketing and mass market organizations, compliance, privacy and online operations. Bert has over 30 years of legal experience in private law firms and in-house legal departments representing business and commercial clients in practically every part of their businesses. With over 22 years of experience in the telecommunications industry providing legal advice enabling clients to quickly bring products and services to market, Michael White has a long and successful track record of providing practical and effective legal advice to corporate clients. 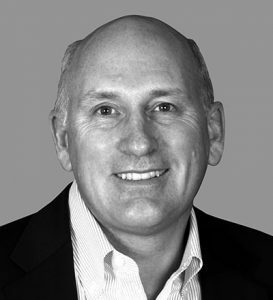 During his tenure with AT&T (including BellSouth, Cingular Wireless and RAM Mobile Data) he guided his clients through an array of strategically critical business opportunities ranging from bringing the first iPhone to market, launching new businesses such as Digital Life and AT&T’s flanker brand Aio (now Cricket) to building retail and distribution channels. Michael is a savvy solution-driven attorney with 22 years experience in the telecommunications industry providing legal advice helping clients bring products and services to market. Jeff has over 30 years of experience both as a leader in corporate legal departments as well as a commercial lawyer representing large and small companies, practicing in M&A, securities, contract and joint venture matters. 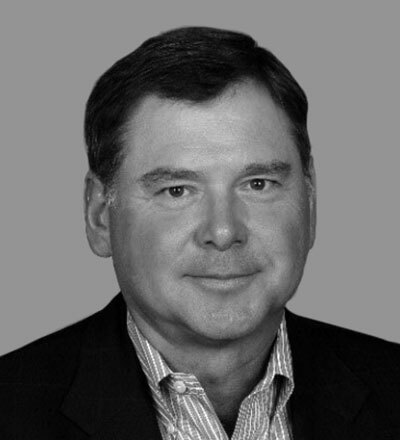 After over 12 years of corporate practice in two large law firms, Jeff joined the M&A group in the legal department of BellSouth Corp., before moving to become General Counsel of BellSouth International, then General Counsel of BellSouth Telecommunications and finally Group Counsel for several business units within the regulated and unregulated parts of BellSouth. After a brief stint as VP and GC at a telecom start-up, he moved to AGL Resources Inc., where he spent 15 years, finally as SVP and Deputy General Counsel, of what ultimately became the largest gas-only distribution company in the country before its acquisition by The Southern Company in 2016. At BellSouth, he managed a large legal department and budget, while at AGL he built, basically from scratch, and supervised, a first-rate legal department of 25 attorneys in multiple locations that was and remains widely respected throughout the business. With this background as practitioner and manager, Jeff is uniquely qualified to assist in-house counsel, whether by adding first-chair bench strength or by providing hands-on guidance in building and managing corporate legal departments. Jeff is adept at helping in-house lawyers become essential business partners to their internal clients. 2000-2001 – Vice President and General Counsel, Evolution Networks, Inc.
Jeff has over 30 years of experience as a commercial lawyer representing clients in a wide variety of corporate matters both domestically and abroad. He has worked in large private law firms, and for over 20 years, in-house legal departments in senior leadership positions where he gained experience building and managing large, diverse legal departments and budgets. Consequently, Jeff is uniquely qualified to assist in-house counsel, whether by adding first-chair bench strength or by providing hands-on guidance in managing corporate legal departments. In Greek mythology, Prometheus was a Titan and a cousin of Zeus who is known principally for stealing fire from Mount Olympus and giving it to mankind. He is also known for his creativity and cleverness. Accordingly, the Merriam-Webster online dictionary defines promethean as daringly original or creative. Promethean has access to a wide network of talented and experienced freelance attorneys with wide-ranging experiences in order to meet the needs of its clients. We can also offer management consulting or procurement services to clients as needed. This same entrepreneurial spirit will guide the discussion of fees with our clients, so that we can get to a win-win situation. Fee arrangements can be structured to meet the needs of the client. Legal services can be provided on an hourly, daily or fixed fee basis. Because of Promethean’s efficient cost structure, our fees are very likely to be significantly lower than a traditional law firm. Our attorneys typically work remotely on client matters, and where appropriate, our lawyers can work out of a client’s office on a part-time or full time basis. The Promethean attorneys handle a wide range of legal issues and problems for their clients, as demonstrated by the list of recent projects below. In-house counsel are often called upon to advise their clients about the distinction between employees and independent contractors. This issue is front and center in a class action lawsuit filed by Uber drivers maintaining that they are employees that have been improperly classified as independent contractors. Promethean’s approach combines the best elements of the law firm and in-house business models by allowing clients to purchase high quality in-house legal services, at in-house cost levels, on an as-needed/variable cost basis. Experienced Promethean attorneys are available, generally from remote locations, to provide in-house style legal advice to a select number of clients on a priority basis. Fee arrangements are structured to meet the needs of the client; legal services can be provided on an hourly, daily or fixed fee basis. Because of Promethean’s low overhead, its fees are significantly lower than traditional law firms. Traditional law firms generally provide high quality services, but such firms have to recover the cost of their offices, conference rooms, libraries and support staff, so the cost of their services tends to be high. In addition, smaller companies that manage their legal spend closely may not always get the prompt attention from law firms that they would like, as law firms, quite rationally, give higher priority to their larger clients with significant recurring legal needs. The in-house counsel model avoids these drawbacks. Purchasing legal services via the in-house model is much more cost-effective, as the client effectively purchases legal services at wholesale rates. In-house lawyers also tend to be better business partners because of their knowledge of the business and the client organization and their ability to implement practical and effective solutions. Unfortunately, this approach to purchasing legal services is very “lumpy,” and it may not make financial sense for a small or medium size firm to invest in a corporate legal department. One author has posited that the threshold for a company to hire its first in-house counsel is $10 million in revenue or 250 employees.